While it is common knowledge that “Paul Newman” Rolex Daytonas the exotic dial chronographs popularized by the late, great actor and race car driver, have increased exponentially in value in recent years, but there are a few variants that have hit even more astonishing and astronomical prices thanks to their extreme rarity. A vintage timepiece like this Paul Newman Rolex is exceptionally rare and important. The yellow gold, “lemon” dial Ref. 6263 Daytona known as “The Legend” is set to cross the auction block in Geneva next month where Phillips places its high estimate $1.6 million, making it one of the most expensive Rolex watches on the planet. 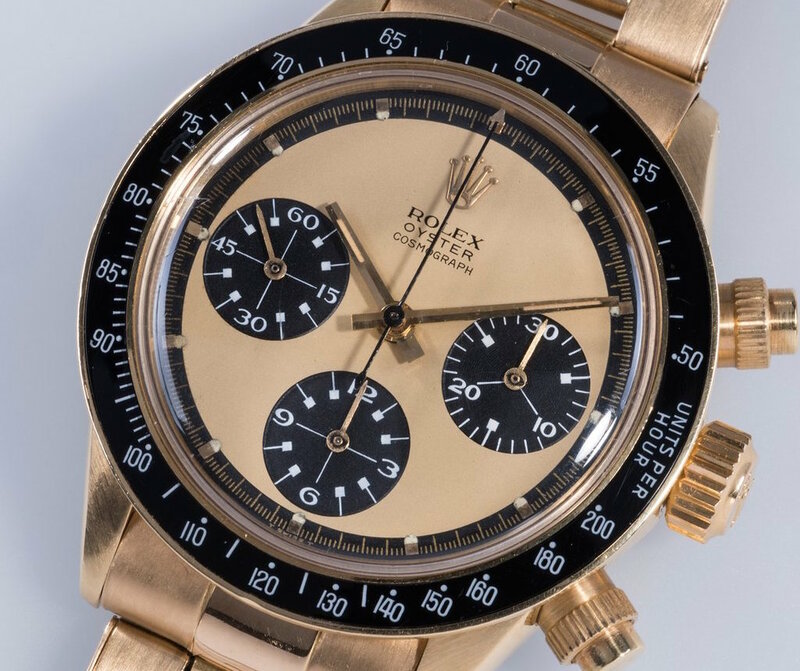 Made c.1969, it is the third known yellow gold “Paul Newman” Daytona with screw down pushers ever to appear on the market and is one of the rarest Paul Newman Daytona variants in existence. The creamy lemon-colored dial and white subsidiary register numerals and graphics distinguish the watch. 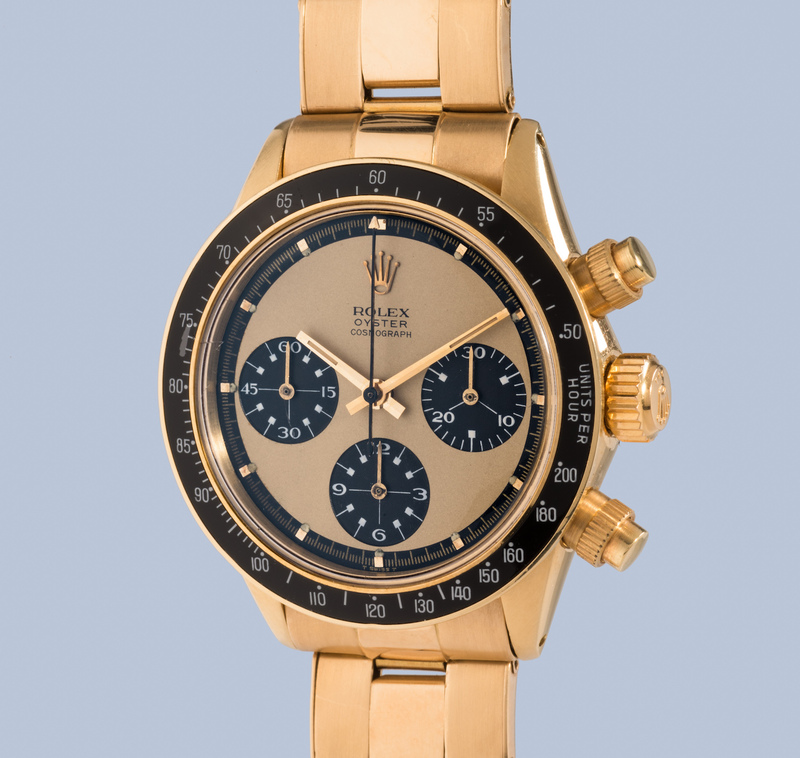 It can also be considered the world’s most valuable gold Rolex Daytona variant. “This timepiece is one of the most important Rolex chronograph wristwatches in the world,” is how Phillips Watches Senior Consultant Aurel Bacs puts it. “It is not every day that an iconic wristwatch with such rarity appears on the market, and telling when another will ever surface again.” This watch is significantly rarer than its stainless steel counterpart, ref. 6262. Think about the implications of a watch made in 1969 that probably had an original purchase price around $1,000 now worth over 1$ million. Take a good, long look at this particular one because the deep-pocketed collector who buys it will probably lock it away for a very long time, at which point it could be worth even more. Have Paul Newmans plateaued price-wise? There seems to be no diminishment in demand or shortage of collectors willing to pay top dollar for excellent “paul Newman” Daytonas, so they remain watches that some consider a wise investment for those who can afford it. The success of Rolex’s modern Daytona models only serves to reinforce the worth of its earlier, heritage pieces as well. One day the Paul Newman Daytona may even be more famous than the actor himself….